What Can Fossils Tell Us about Early Human Diets? We may never know the intricate details of early human diets—and sometimes, different lines of evidence can seem contradictory. Happy National Fossil Day! Fossils are among the most thrill-inducing traces of the past to discover. These preserved remains of once-living organisms, usually more than 10,000 years old, are a primary source of evidence about the past. For a paleoanthropologist like me who is interested in reconstructing the diets of ancient humans, fossils are invaluable clues to that help piece together a puzzle that is inevitably incomplete. I will outline four kinds of fossil-based techniques that use different kinds of evidence to shed on the diets of various early human species—some of which yielded surprising and seemingly contradictory results. The fossil remains of early humans (hominins) themselves can shed light on different aspects of early human diets. On a basic level, the morphology (size and shape) of early human teeth and skulls can reveal something fundamental about what kinds of foods those early humans ate. Some early human species—mainly those in the genus Paranthropus—have very large teeth, particularly their molar teeth. The explanation for this adaptation has commonly been that these large teeth have more surface area to process large amounts of foods that are either lower in quality of mechanically challenging—foods that are tough, hard, or abrasive (Ungar 2012). One of the most well-known Paranthropus boisei fossils, which was found at Olduvai Gorge by Mary Leakey in 1959, OH 5, was even nicknamed “Nutcracker Man.” This fossil, and many other fossils of Paranthropus and Australopithecus, also have other adaptations, such as large jaws and a sagittal crest, that lead paleoanthropologists to surmise that they expend quite a bit of time and energy chewing. The sagittal crest is a ridge of bone that runs along the midline of the skull on the top and provides increased surface area for the attachment of a large chewing muscle called the temporalis. If you put your hands on your temples and pretend to chew (try it! ), you will feel your temporalis muscles—but if you put your hands on the top of your head and do the same thing, you won’t. A Paranthropus would feel these temporalis muscles even on the top of the head. While tooth and skull morphology reveals the potential diets of early humans, dental microwear— microscopic wear patterns on the surfaces of teeth resulting from the processing of food—can provide insight into the properties of foods that early humans actually ate, at least in the few days or weeks before they died. Mammals who emphasize compressive chewing to process hard, brittle foods like seeds, nuts, and bone generally exhibit more pits in their microwear patterns while those who emphasize shearing or grinding tough foods like grass, leaves, or flesh tend to exhibit more striations or scratches (Teaford and Ungar 2000). Earlier microwear methods focused on the identification of individual two-dimensional features like individual pits and scratches on tooth surfaces resulting from biting on hard particles (such as plant silica, phytoliths, and bone fragments) while chewing, using scanning electron microscopy (Grine 1986); more recent microwear methods use three-dimensional surface texture (topography) analysis. 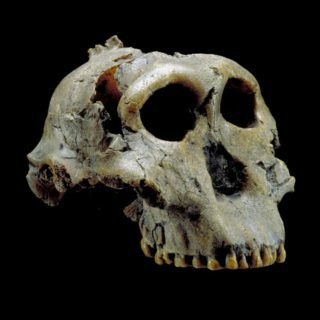 Now, back to Paranthropus boisei. Their morphology indicates likely adaptations to eating hard or brittle objects like nuts or seeds, or roots and tubers. What about their microwear? When the first study of their microwear texture was published in 2008, the results were very surprising: their tooth surfaces were dominated by fine striations, indicating that none of the individuals ate particularly hard or tough foods in the days before they died (Ungar et al. 2008). This posed a paradox: Paranthropus boisei’s morphology indicates an ability to handle hard or tough foods, but their microwear indicates they didn’t do so—at least not regularly. To reconcile this apparently contradiction, researchers proposed that Paranthropus boisei occasionally consumed very hard or tough foods as “fallback foods” when their preferred foods were not available—but would have done this quite infrequently. Perhaps another line of evidence, stable isotope analysis, could help clarify the diet of Paranthropus boisei? A few different kinds of stable isotopes are used in dietary reconstructions. Carbon isotopes are used to determine what kinds of plants early humans were eating, specifically whether the plants they ate used a primarily C3 or C4 photosynthetic pathway. In tropical environments, C3 plants are largely trees, shrubs, bushes, forbs, and some herbaceous plants, while C4 plants are largely grasses and some sedges (Klein 2013). C3 plants incorporate relatively less 13C into their tissues than C4 plants do, so their tissues are less enriched in 13C. The carbon isotopic compositions of these two kinds of plants do not overlap, and they are reflected in the 13C/12C isotope ratios in the tissues of the organisms that consume them (Sponheimer et al. 2013). In other words, grass eaters (like baboons) are easily distinguishable from fruit eaters (like chimpanzees). As with any scientific endeavor, the most reliable reconstructions of prehistoric diets rely on multiple lines of evidence. Carbon isotope analyses help broadly categorize what kinds of vegetation dominated the areas where early humans lived and reveals the kinds of plants early humans ate over several months or years. However, this kind of evidence can only capture the kinds of plants early humans ate from the vegetation where it lived and does not paint a complete picture of the entire vegetation community ( ). Dental enamel is the most useful tissue for carbon isotope analysis, because it survives longer than other tissues in the body due to its density and is less subject to diagenesis (post-depositional chemical alteration). There is some general patterning over time to the carbon isotope signatures of early humans, with a broad shift from eating more C3 to C4 plants (Sponheimer et al. 2013). Before 4 million years ago, early human diets were dominated by C3 resources. But by 3.5 million years ago, multiple early human species had started to eat some C4 plants. What about the Paranthropus species with the sagittal crests we talked about earlier—but whose microwear patterns suggested they didn’t frequently consume hard or brittle foods? Carbon isotope analysis shows that by about 2.5 million years ago they primarily ate C4 plants like grasses or sedges—while other species like Australopithecus africanus continued to eat more mixed C3/C4 plants. A recent study based on the diet and microwear patterns of baboons in Amboseli National Park in Kenya proposed that like these modern primates, Paranthropus boisei may have eaten large quantities of starch-rich, abrasive tiger nuts (edible grass bulbs) which Paranthropus would have needed to chew for a long time to process (Macho 2014); this would explain both a strong C4 isotope signal and their extreme morphology, Yet carbon isotope analysis of two individuals of another early human species (Australopithecus sediba) dated to about 2 million years ago from South Africa indicates they had an almost exclusively C3 diet—and the dental microwear evidence suggests they consumed hard objects before death (Henry et al. 2012). So it’s important to remember that these species were eating plants that were available in their local environment. While carbon isotope analysis cannot differentiate diets based on plants versus the animals or insects that eat those plants, nitrogen isotope ratios are useful for this. Nitrogen isotopes (15N/14N) record the protein component of the diet and identify the trophic level of an individual; individuals higher up on the food chain have higher δ15N levels, and those consuming aquatic versus terrestrial animal resources have still higher δ15N levels. Earlier hominins like Paranthropus and Australopithecus likely ate a lot of plants—but archaeological evidence from animal bones and stone tools indicates that at least one hominin that existed later in time, Neanderthals, seems to have eaten a lot more meat than earlier species. This time the isotope evidence is straightforward: studies of nitrogen isotopes confirm evidence from the abundant animal bones found in sites interpreted as the remains of Neanderthal hunting, and support the reconstruction of Neanderthals as skilled hunters of who obtained most of their dietary protein from large terrestrial Ice Age herbivores who lived in open landscapes such as mammoths and woolly rhinos (Bocherens 2009; Richards and Trinkaus 2009). Plant microfossils might be the most surprising line of fossil evidence for early human diet listed here! 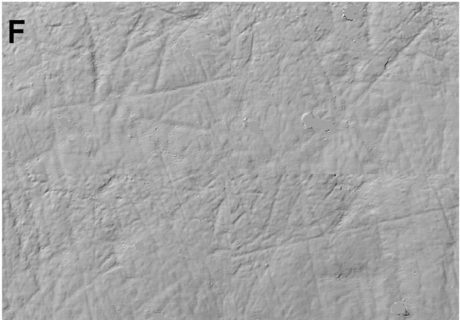 These microscopic fossils, such as starch grains and phytoliths (usually made from silica), sometimes become trapped and preserved in the dental calculus of early humans—and survive well in archaeological contexts (Henry et al. 2011). They are a direct record of the plants early humans put in their mouths—mainly to eat, but probably for some non-dietary reasons as well. A study of phytoliths and starch grains extracted from the tooth calculus of several Neanderthal individuals from Iraq and Belgium is notable, especially in the light of the nitrogen isotope studies of their diet outlined. While they were effective hunters, the plant microfossils recovered from their dental calculus indicate that Neanderthals also ate a variety of plants including date palms, legumes, and a barley relative—and even cooked some of the plants they ate (Henry et al. 2011). Analysis of phytoliths from the dental calculus of an individual of Australopithecus sediba, mentioned previously, indicate the consumption of fruit, leaves, wood, and bark (Henry et al. 2012). As with any scientific endeavor, the most reliable reconstructions of prehistoric diets rely on multiple lines of evidence. When these lines of evidence seem to contradict each other—well, that probably means we need yet another line of evidence! The study of ancient diets is so interesting precisely because we have so many ways to investigate it. Although it is not possible to determine the entire dietary breadth of now extinct species, using different lines of evidence, paleoanthropologists can work toward seemingly lofty goals like estimating the proportion of different kinds of foods like plants, meat, and insects in prehistoric diets. Briana Pobiner is a research scientist and educator at the Smithsonian’s National Museum of Natural History.